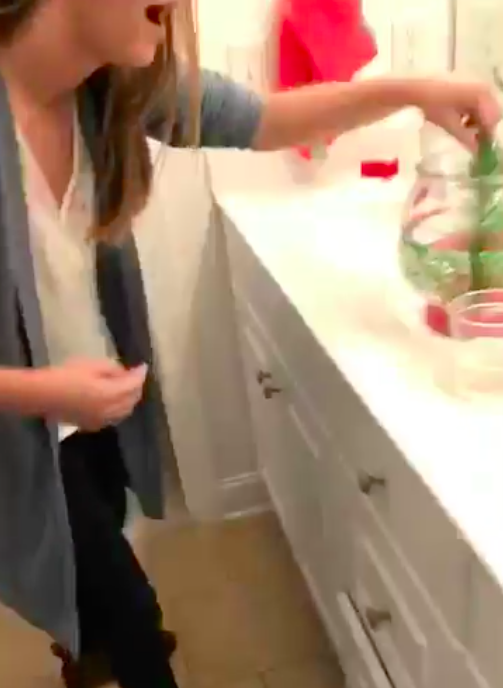 High school senior Brooke Essick used to be the proud owner of a beta fish named “Dane.” That is, until she attempted to change Dane’s water – and chaos ensued. 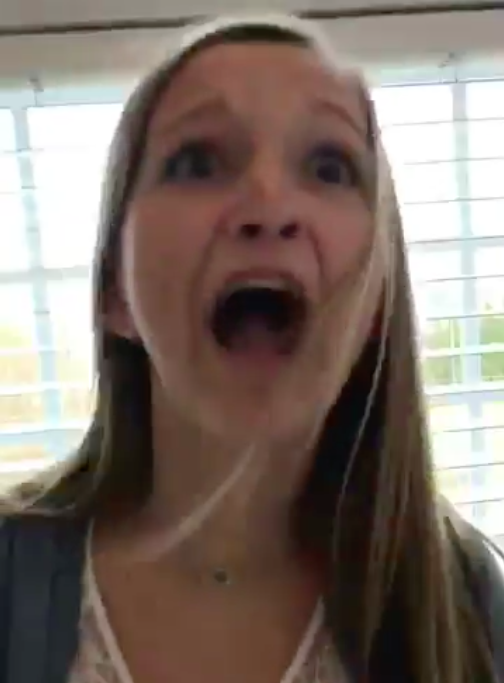 The Kernersville, NC, native is now going viral on Twitter after her friend Macy Carmichael posted a video of the event. 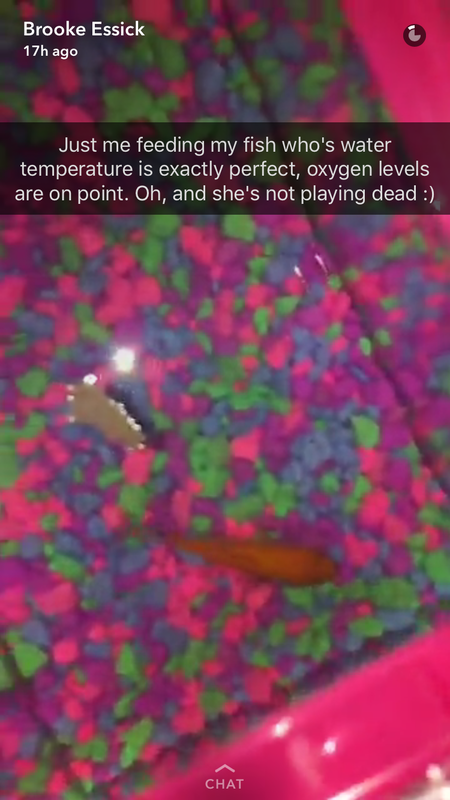 The video features 18-year-old Brooke changing the fish’s water, but once she switches him back to his bowl, the fish stops moving and is seemingly dead. When Brooke attempts to flush him, she panics – Dane was only playing dead. We spoke to Brooke about the traumatic (and comical) event. Walk us through what happened on this tragic evening. I was changing his water because it was beginning to get muggy and he wasn’t acting right. When I was finished cleaning the bowl, I had to pick him up to put him in his new water so that I didn’t mix his old dirty water with new water. He started swimming for like five seconds when I put him in there and then he suddenly just dropped dead. 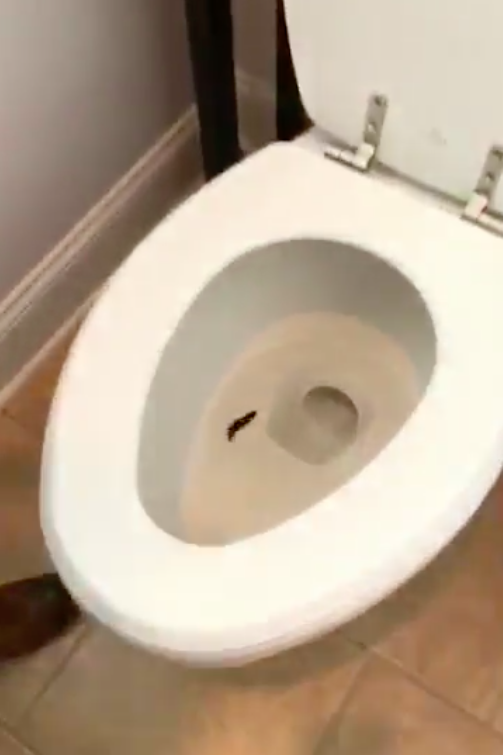 So we gave him about two minutes and then decided we needed to have a ceremony for him at the toilet. As soon as I dropped him in the toilet, I pushed the flush button. But then Dane began to swim again. What made you think beforehand this was going to be video-worthy? 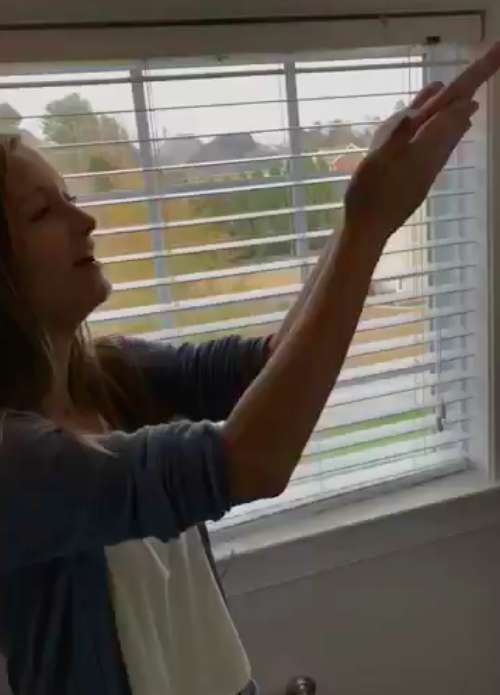 My friend Macy recorded it because she is always videoing and just happened to catch it at a good time. Then she posted it for our friends at school to see. When did you realize the video was going viral? It slowly started gaining retweets and favorites. I woke up Thursday morning and it was everywhere! That’s when I knew that it was actually going viral. You’ve received some backlash from people on Twitter – what has been said? A lot of people are really upset with me, but I promise I never intended to do that to Dane. I thought he was for sure dead. What’s the craziest thing that’s happened since the video was posted? Definitely when I woke up and saw that all these famous Twitter accounts had tweeted it. And the messages from journalists, websites and other people. I know you want to be a vet in the future (at NC State). What have you learned from this experience that you’ll take away? It has interested me to see what was actually wrong with Dane, whether he was playing dead or was in shock. 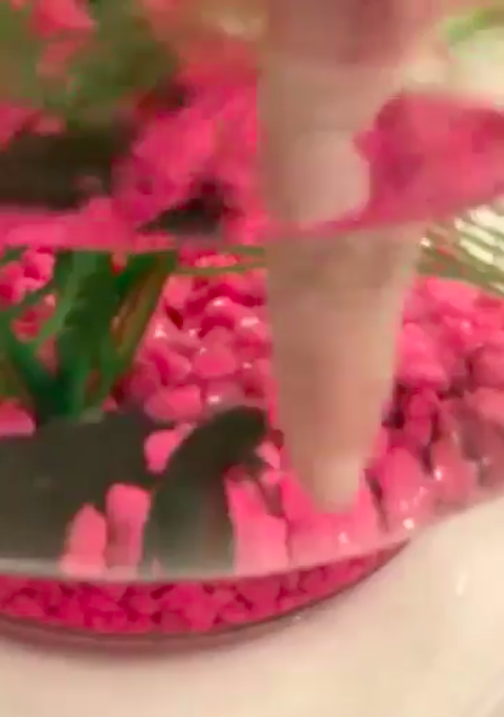 Lastly, are you going to have a replacement Dane or take a break from fish parenthood? I actually already had another fish, so I’m gonna keep her. The video already has 7k retweets and over 9k favorites from Macy’s account, but other big Twitter accounts have been reposting the video. Many are comparing Dane’s escape to that of Nemo’s in Finding Nemo.